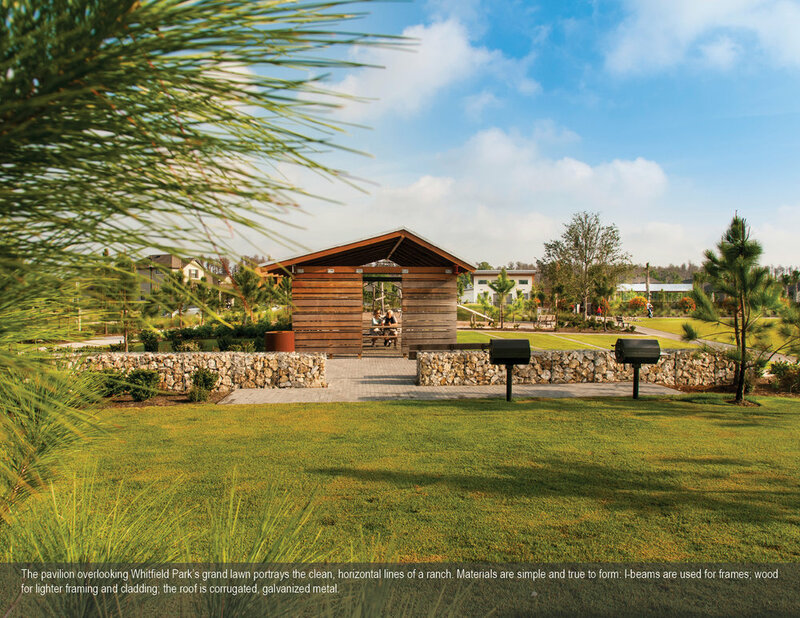 Starkey Ranch exemplifies a new model in greenfield development. 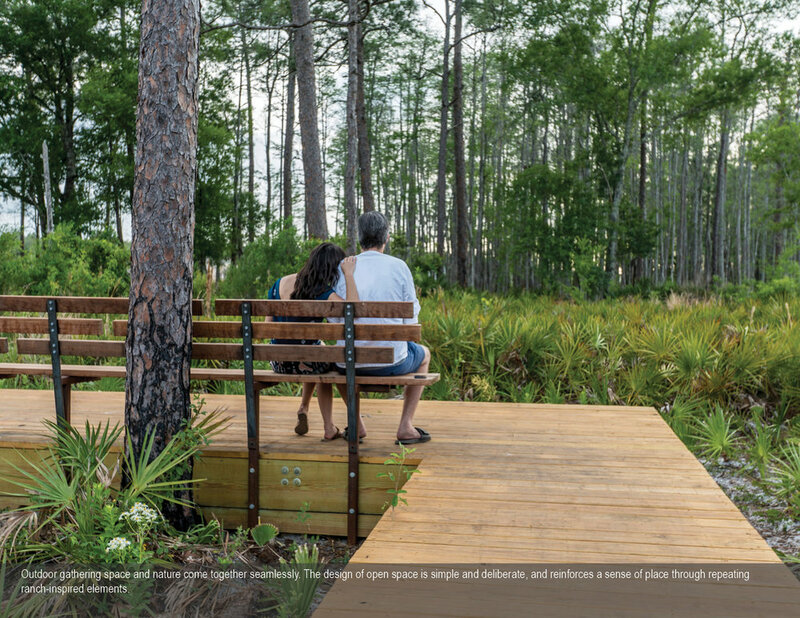 Wishing to avoid conventional land development practices that too often have resulted in placeless strip-center shopping and tract housing, the Starkey family donated a large portion of their ranch land to create a permanent wilderness preserve, then engaged a design team that embraced their vision: to develop an adjacent master-planned community that honors the land’s history, connects people to nature, and creates a sense of place celebrating a ranching character. 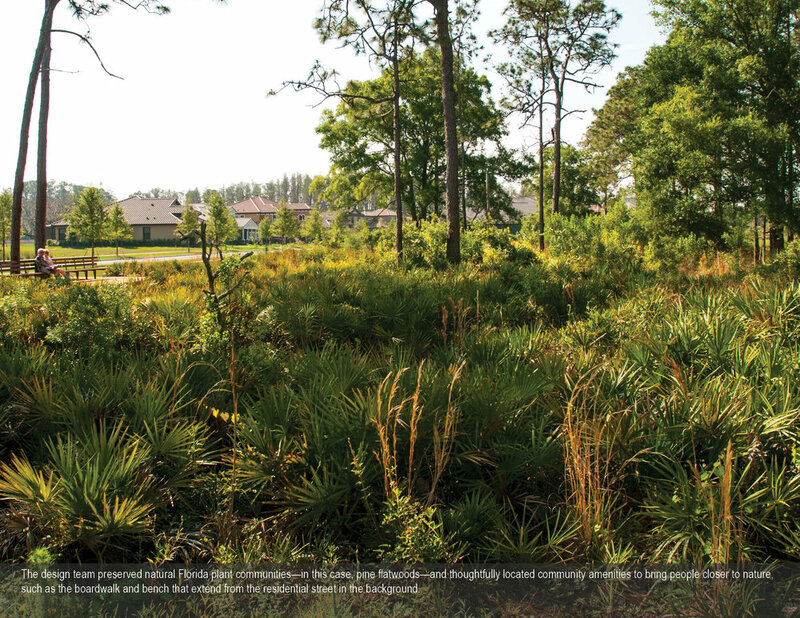 From preserving oak trees during construction to incorporating ranching materials into the modern landscape, this 2,500-acre master-planned community isn’t leaving the past behind. 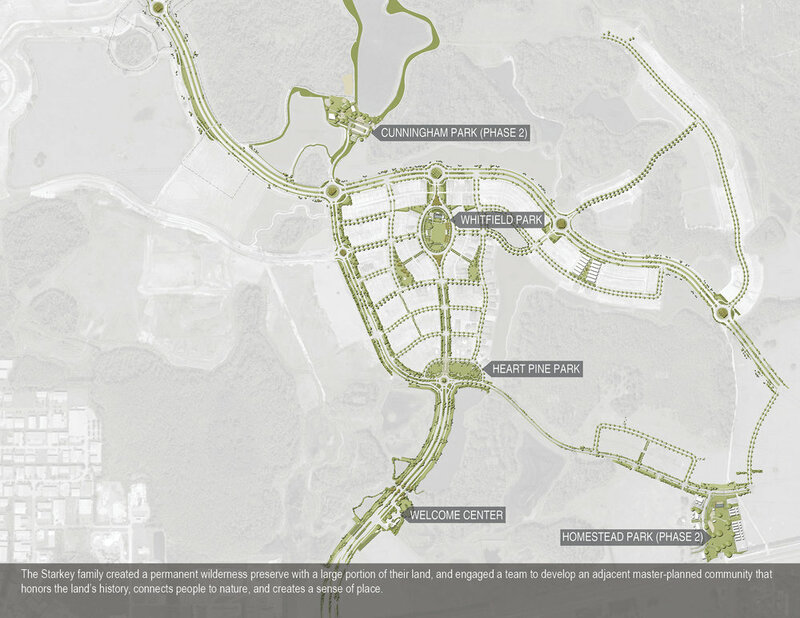 Rather, the landscape architect-led design team has created a vision for a working landscape that honors history and ecology by providing wildlife habitat, utilizing a 95-percent native palette, and connecting people to nature with 20 miles of trails and 800 acres of parks and open space. 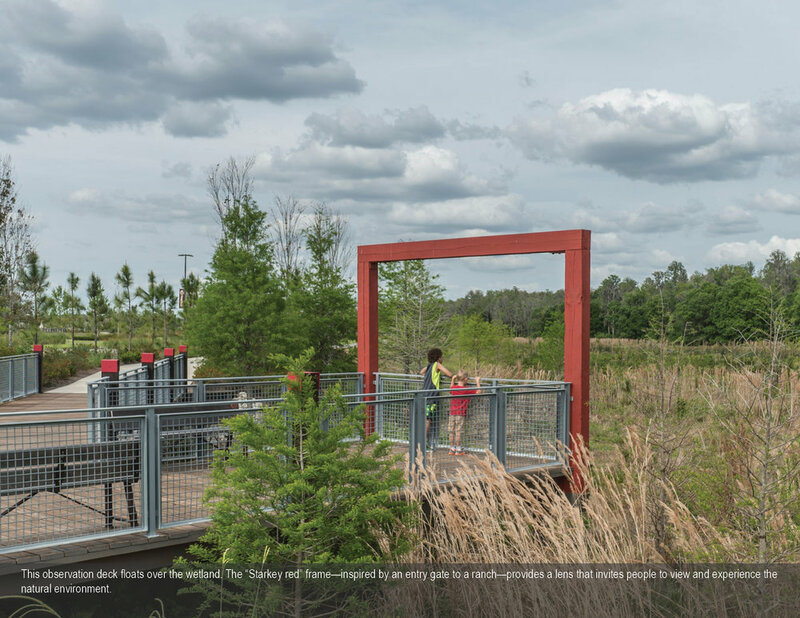 Throughout the community, a strong sense of place is consistently reinforced with design elements that are respectful, functional, sustainable and beautiful. 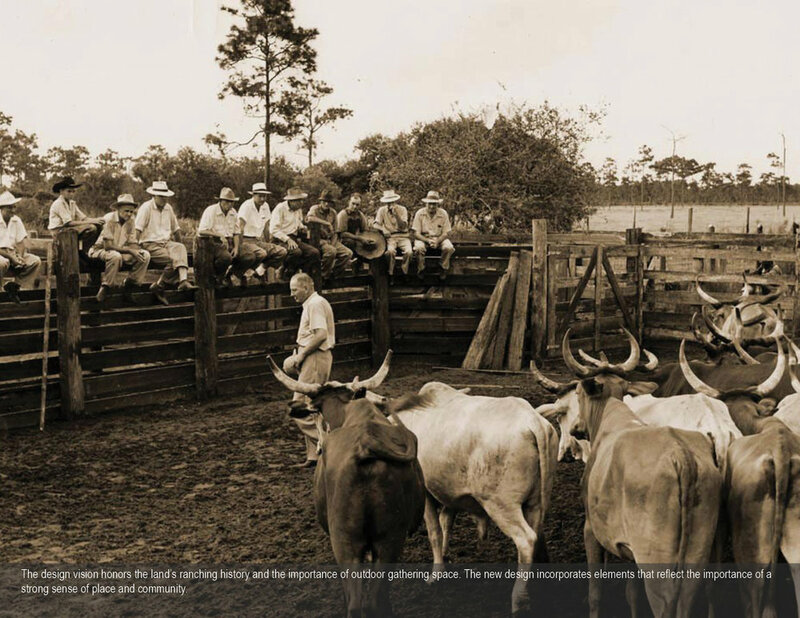 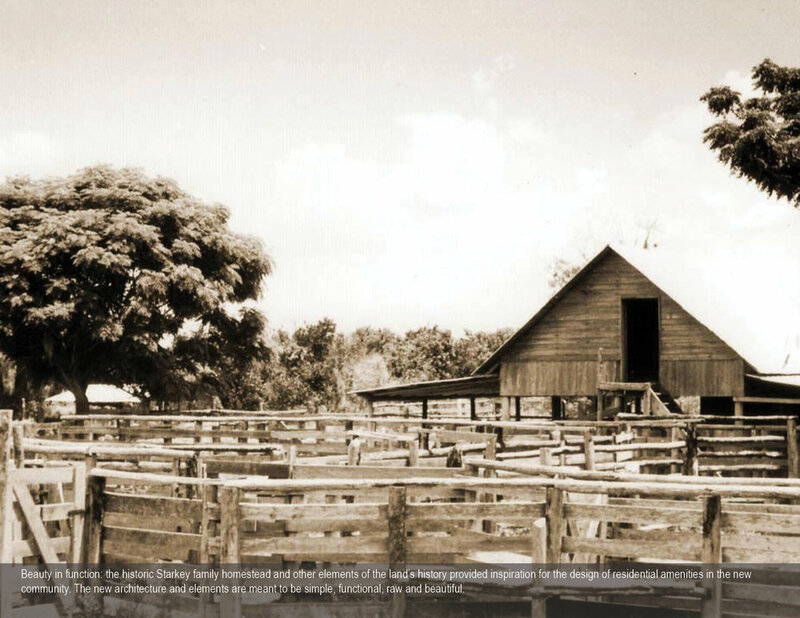 Learn more about Starkey Ranch on the following pages.